Fontainebleau is the most popular bouldering destination in the world and a must visit place for every climber. Situated about 70 km South-East from Paris the climbing area consists of multiple different sectors located around the Fontainebleau village. Overall "Font" offers thousands of routes for different skills levels, so you’re guaranteed to find something for everyone. The rock type is sandstone with mostly soft, flat and sandy landings. Easy and often short approaches and safe area makes it also perfect for families. The climbing itself is immensely technical and tiny footholds, balancy moves, sloupers and mantel top outs are all well represented. If you are an avid gym rat, be prepared for a surprise. Power takes you far, but it’s not a substitute for technique and especially good foot technique is a must here. But no worries if you feel that your technique is not at its best - you’ll learn it here! You can can also find roofs, jug hauls, dynos and such, if you know where to look for them. 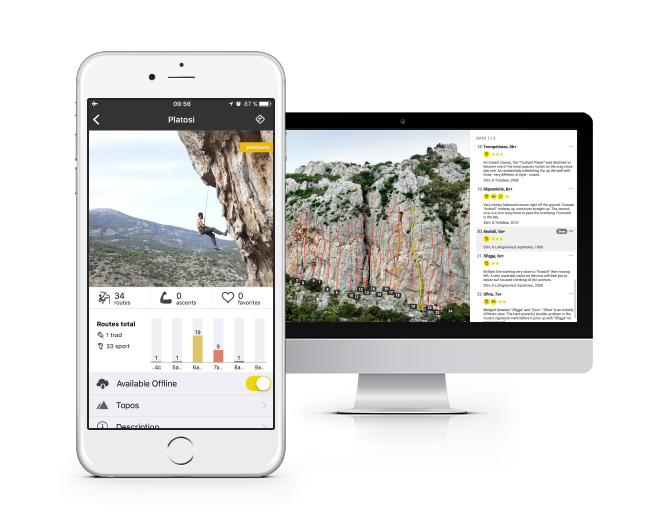 Besides all the route information, 27 Crags .premium topos offer GPS navigation and offline use in the app. These guarantee you won't get lost while navigating to the right rock and that bad internet connection won't stop you browsing the topos! Discover the gem routes in Fontainebleau and get the most out of your trip! Discover the best problems in Fontainebleau and get the most out of your trip! August-September and April-May the temperatures are normally pleasant but not too hot. During easter Font is packed. Usually people arrive by plane either to Charles de Gaulle or Orly. From there it’s easy to rent a car and drive to your accommodation. 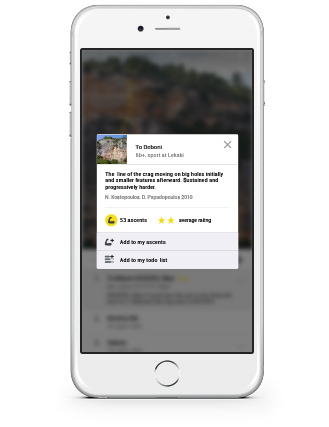 In Font you can find an accommodation for every taste. A “gite” is a stone build apartment or house which you can share with a group of friends. Activities in the Font forests include things like hiking, biking, horseback riding, running, orienteering, picnics etc. Gite Arbonne An exceptional place with lovely wooden cabins for 4ppl each. Free wifi! Padadise Padadise rents out high quality crash pads. Easy pickup/delivery & online reservation! Gîte Au Jardins des Arts - Barbizon Beautiful rustic gîte(s) (1-4 pers.) with a rich history in art. Families welcome. Crashpads available for rent. FontyCosy, 2 gîtes A bigger gîte for up to 8 climbers, and a smaller one for up to 4. Both gîtes are super cosy and homy. Fontainebl’hostel Very cosy Hostel and Camping in a very interesting and central location for climbers. Supermarkets and bakery just around the corner. Also showers for non-residents! Gîte Le Clos Du Tertre Beautiful gîte and b&b in a perfect location. Owner Stef is a climber himself and will recommend you all the best problems and sectors. Pads are available too! Interesting prices when booking direct. Gîte Kailloux 3 super cosy gîtes for 2-4 persons. The owners are vivid climbers who know the forest very well and happily take you out. Pads are available for rent. Les gîtes du Haras de la Fontaine - 3 to 8 persons Cosy base with Gîtes for 3-8 persons on the South side of Fontainebleau. Pads available for rent. 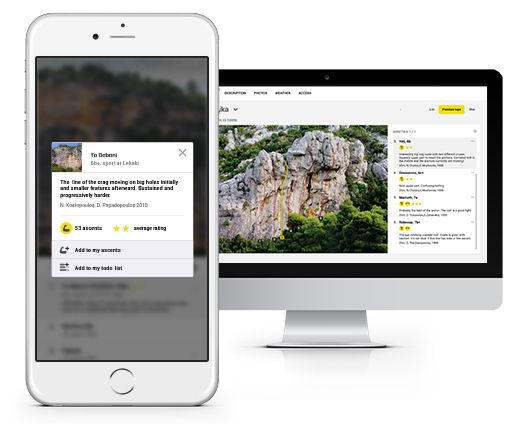 The most detailed climbing guide from Fontainebleau starting at €3.10 / month.